It may seem late in the year to take a look back on the death of Steve Jobs and the legacy he left behind. We’re more than a month out at this point, which even to me feels more like a year, but I think this is a good time for it. The iPhone 4S is now sweeping across the world, faster than most expected, bringing us one of those strange and uniquely Apple experiences, Siri. A lot of people thought the iPhone 4S was the wrong product to launch after Jobs stepped down from his position at the helm. To me, though, the iPhone 4S was maybe the last brilliant move from Jobs, with Siri giving us a look at the new Apple. 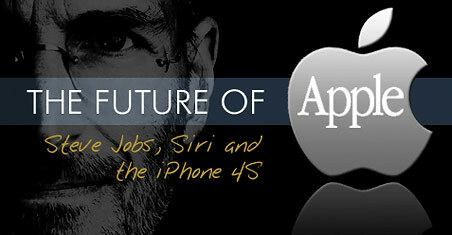 This won’t be a shining eulogy to Jobs as the greatest technological mind of our time. That’s not really my place and frankly, I don’t think it’s very accurate. My only point here is that Jobs left the world as he lived in it – carefully and intentionally. The iPhone 4S was definitely a disappointing announcement for a lot of people. We had been hearing about the iPhone 5 for long enough that, in the light of Steve’s retirement, it seemed inevitable the iPhone 5 was the announcement to make. With Jobs gone, Apple needed to send a message that it was still plowing ahead, right? That it would be at the forefront of technology, always pushing to deliver the next great thing, right? No. That has never been Apple. Apple has never been first to market. That’s not what Apple does. Apple is not about being the first anything on the market. Apple is about being the most complete experience on the market. When the iPod first launched there were dozens of MP3 players to compete with. The difference, of course, was iconic design and a simplified interface. It was simply better than the alternatives. The iPhone was no different, and please, let’s remember what the iPhone was like when it originally launched. You know, before the App Store. The product has definitely come a long way – Apple’s market cap is a testament to that – but when it launched it was simply a cleaner, more stylized, more complete way of doing things. It’s also important to remember how Apple launches a product. It does so regardless of hype. It does so without even considering our expectations. 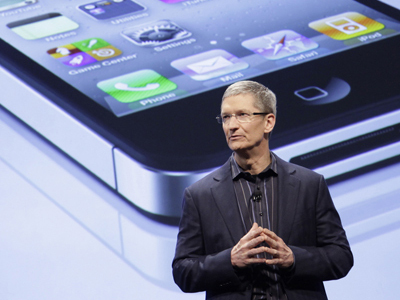 Apple releases products when they are ready and that’s a big part of the company’s success. The iPad was a success at launch because it was a complete product. It wasn’t something pushed to market just to have a tablet. The iPad was actually late to the tablet game, but it has since gone on to define that segment of the market. This is the Apple the world knows and loves. It is methodical. It is plodding. It is sometimes downright slow. But it is also beautiful and well-crafted and damn fun to use. In the wake of Steve Jobs’ death, that’s the Apple I hoped to see. When Apple starts pumping products out faster than you can buy them, then Apple is no longer Apple. The iPhone 4S is a quintessential Jobs-era product. It is an improvement on an already functioning piece of technology. It is beautiful. It is damn fun to use. It is only slightly more powerful than its predecessor but it’s still selling millions of units. The truly weird part of Apple’s iPhone 4S announcement was Siri, a new digital assistant that launched as a beta. While Siri seems great when it works, it certainly doesn’t work well all the time. That’s the difference between Jobs’ Apple and Tim Cook’s Apple. I won’t say that Jobs wouldn’t release Siri in its current form. He might have. But if I had to make a bet, I’d say this was Cook’s call. That’s not to say I think Tim Cook can’t keep Apple on top of the tech world. He will. If anything, the iPhone 4S proves that. It’s a conservative play from a traditionally conservative company, even under new leadership. It’s exactly the kind of product Jobs would launch with just a taste of something new. This is the future of Apple – solid products with just a taste of something new. Microsoft dropping CES – part of Steve Jobs’ legacy?